Need a larger surface area for sifting? 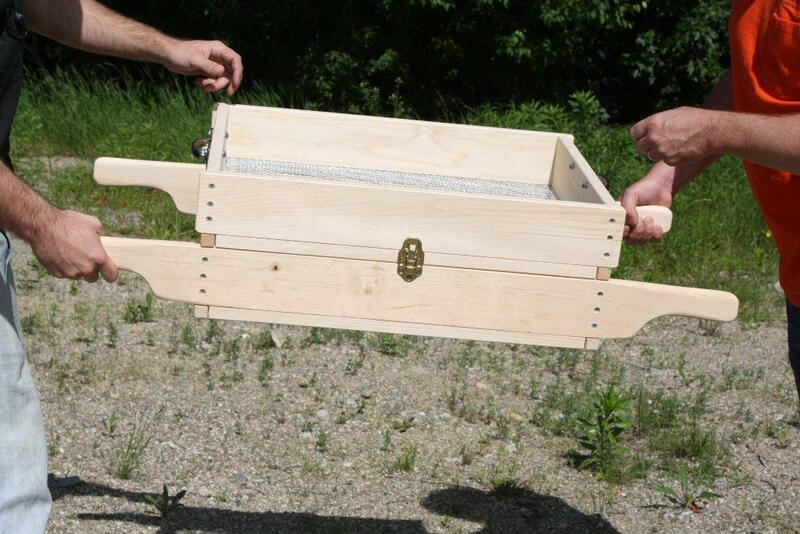 Try our two-person stacking hand sieve. Use clipped together for presorting or just by itself after you have processed the items in the top box. Shaped handles on both ends of the sifter box make this sifter one of the most efficient and easy-to-use. Our high quality woven wire mesh is the best in the business. This sifter features 1/4" galvanized on the top box and 1/8" stainless steel on the bottom two-person sifter. Screen area is 17" by 22". We can customize this sifter with different mesh sizes upon request - just call us.